This Para 3 model has a Digi Camo G-10 handle and a black finished blade with a plain edge. For anyone wanting a solid E.D.C knife, this is the one for you. Look at those scales, damn, is there even a knife there, with all that camo goodness, better not drop it. That blade, sharper than excalibur, it'll cut you faster than an older brother picking on your new hair cut. 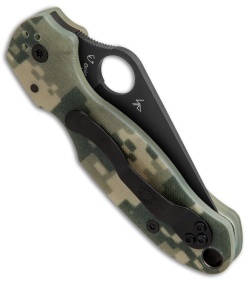 Talk about comfort, forget what you know, this para 3, wow oh wow, its like you're not even holding it! No hot spots at all, this is cooler than vanilla ice in the 90s. I carry a Para 3 most days. It’s light weight and dose not take up much pocket space. It came razor sharp right out of the box. The size of the Para 3 is also not to intimidating to most. I also recommend picking up a Lynch deep carry clip as well for it as it sits a little high in the pocket normally. Great knife also the s30 steel blade is great also the size of the para 3 feels great in the hands, and in pocket you will not be disappointed. Great EDC! Light and awesome action. Love the Compression lock! Waiting on a deep carry clip now. Buy this knife - you won’t be disappointed! This for now is my nice to have knife, i have others I beat up on. I wanted a BA spyderco, so i went with black blade and camo. Mainly serves as a fun to show and play with in my collection. With the spdyie circle and compression lock I like to sit around and flip it as a fidgety type thing. I love the compression lock. The knife feels good in hand and is a good size. 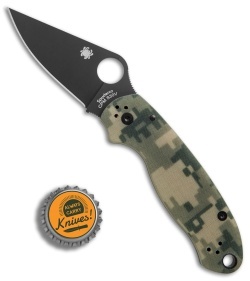 Was trying to decide between the PM3 and Sage 5. Decided to go with PM3 and very happy with decision. 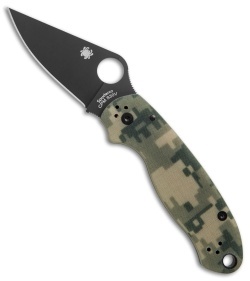 After reading a bunch of reviews decided I liked the PM2 so much a scaled down version would be perfect! I was right and this is my favorite EDC. Reviews were absolutely right about the clip. The factory clip really is awful so save time and just order deep pocket clip at same time as you make your order. BHQ is great. Received the order 2 days after making purchase.. Wonderful EDC knife with smooth action. I put a deep carry clip on it and flipped the orientation to tip up. It's a Para 2 with a more widely legal blade. Love it. After researching for about a month for a new EDC knife this one seemed to fit the bill. So I bit the bullet and made the purchase. I just received the knife and it was above my expectations. The Spyderco Para knifes are great build quality. The blade is fast to deploy the G10 handles have great texture for a sure grip on the knife and there is no blade movement in either direction when locked open. 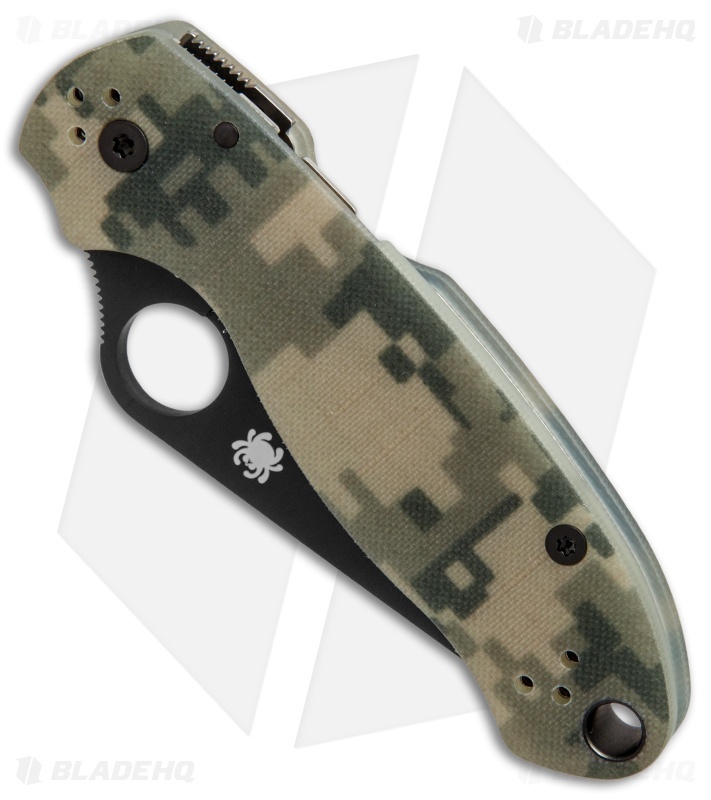 If you are on the fence about a knife you CAN NOT go wrong with the PARA 3!